One of my favorite posts to write every month is my “Favorite Things” post! I’m back today with a handful of favorites — I think there really is something for everyone on my list this month! DISCLOSURE: None of these products are sponsored; however, some of the links below are affiliate links — which means that at no cost to you, I may get a small commission. Please know that I use these products daily in my own home and life. Read my full disclosure policy for more information. About a year ago, Dave’s mom mentioned that she wanted to replace her plastic drinking glasses with glass ones — similar to the glass ones we were using at the time. Ironically, I was wishing I had plastic ones like hers instead of my glass ones — so we traded! Oh my word, these plastic tumblers are SO practical for our little kids. Plus, the super small size of the tiny juice glasses are perfect for their little hands. We have the small 8oz cups and the larger 12oz cups (it might be worth mentioning that they don’t actually hold a full 8 or 12 ounces). We use these cups every day for every meal, and it’s not uncommon to have all 24 cups in the dishwasher when we run it. 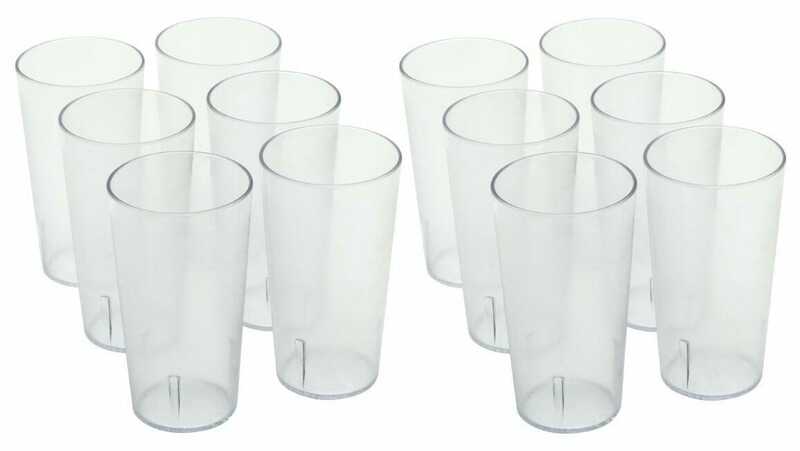 If you are looking for very practical, non-breakable, dishwasher safe, frugal drinkware, I can not recommend these tumblers enough! 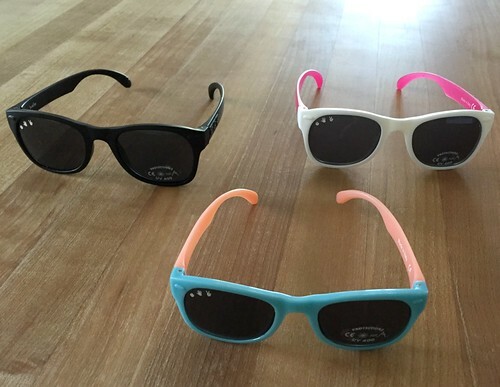 I can’t even begin to count how many pairs of our kids’ sunglasses have been stepped on, sat on, squashed by a bike or scooter, dropped, scratched, etc. 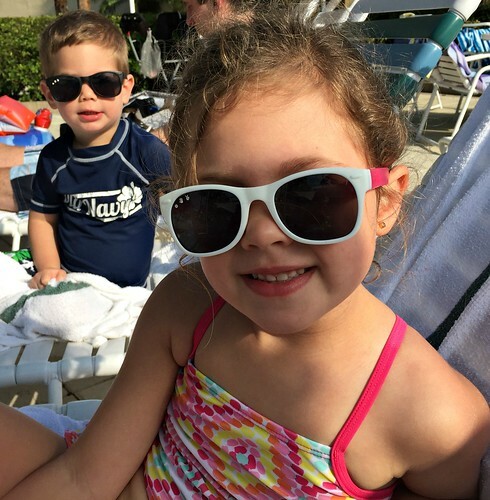 Thankfully, I’ve never paid more than $5 for any of the kids’ sunglasses — but still, that all adds up over many broken and scratched pairs. 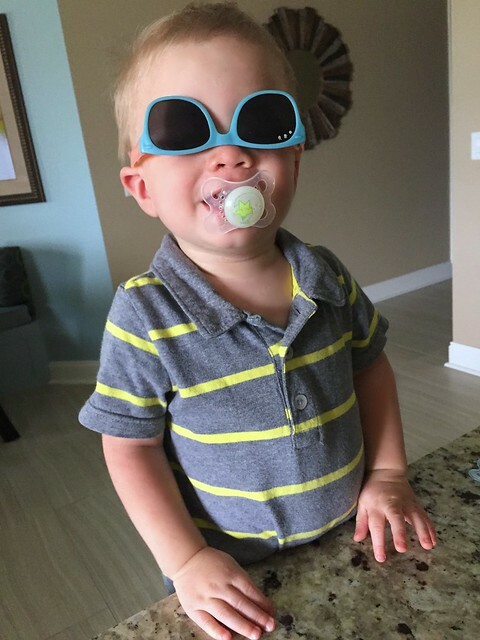 A couple months ago, I Googled “non-breakable sunglasses for kids” as I prepared to take our mini tribe to Florida for spring break… and I instantly came across Ro-Sham-Bo sunglasses that claim they can never be broken or scratched. Not only are they super cute and come in so many fun colors, they are extremely lightweight, very flexible, and virtually indestructible. I guess the biggest issue with these sunglasses is if your kids misplace them — thankfully, my kids are really good about actually wearing their sunglasses so we haven’t had to search for a lost pair (yet)! I know many people think using loofahs in the shower is really gross and germy — but for whatever reason, it doesn’t bother me at all. In fact, I enjoy using a loofah so much that it’s one of the things I always miss most when we go on vacation (I don’t take it with me because it’s all wet and soggy). I love how foamy and lathery the soap gets when I use a loofah, and I love the mini “massage” I get when I wash my body with the slightly-scratchy / exfoliating loofah. Dave thought loofahs were only for females, but I quickly got him onboard with using loofahs after we were married — and he’s never looked back. 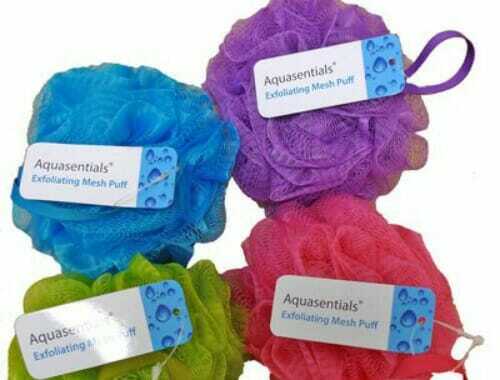 Now, everyone in our family uses a different colored loofah and we replace them every 4-6 months (I buy them in bulk at the dollar store so they are about $0.25 each). 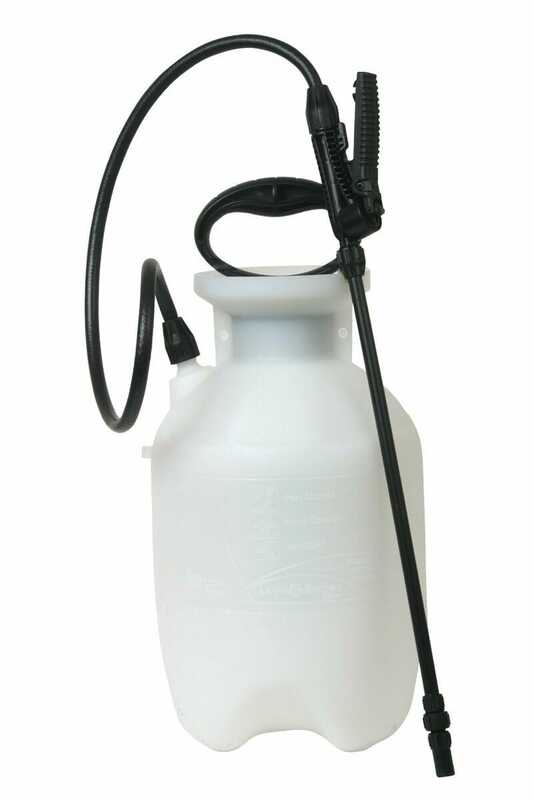 Many years ago, I purchased a 1-gallon pump sprayer for $5 from a garage sale. It served us well for quite a while before it started “acting up”. The sprayer would get clogged, the hose leaked all over our hands, the nozzle wasn’t working quite right, etc. etc. Then this year, it finally stopped working altogether and I finally broke down and purchased a brand new sprayer from the store (for a whopping $15). Oh my word does the new sprayer work so much better than our old one — and considering how often we use our pump sprayer, Dave and I will both benefit greatly from my new purchase! We use our sprayer for all sorts of needs around the house and yard — killing weeds in planting beds and in our lawn, spraying for bugs and killing box elder bugs, even cleaning certain areas of our siding. It’s such a handy “tool” to have, it takes up very little space in our shed, and it’s quite a frugal purchase! You might be tired of hearing me blab on and on about the amazingly fantabulous Glamourmom nursing tops… but I just can’t stop. They are by-far the most comfortable, most durable, most wonderful nursing tops I’ve worn (and I’ve tried a lot over the years). Yes, they will probably cost a bit more than the flimsy nursing tops available at Walmart or Target — but I can assure you the Glamourmom tops are worth every penny (and you know how frugal I am). This might be verging on too much information here, but I basically stopped wearing a bra once Nora was born and have essentially worn my Glamourmom nursing tops (with a very nice built-in bra) every day for the last 5+ years — except when I’m very pregnant and can’t fit in the tops anymore. I’m currently still wearing the tops at 20 weeks pregnant, even though I’m no longer nursing, and they are just starting to feel “too tight”. My most favorite is the Glamourmom Nursing TOP (long torso). It fully covers my very long torso, it offers just enough stretch to be tight and firm but not uncomfortable (at least not until you’re really big and pregnant), and the nursing clasps are so quick and easy to snap on and off. It’s probably worth noting that Glamour mom sells maternity tanks and tops and “regular” (non nursing, non maternity) tanks and tops too — so there is really something for everyone. And if you want to stay current with the Glamourmom deals, you can follow them on Facebook, Twitter, and Instagram. That’s all for me this month. Make sure you check out my previous month’s favorite things — and feel free to share some of YOUR favorite things in the comments below. Just got my first Glamourmom tank in the mail today. It is wonderful!!!! I was so tired of saggy-baggy bulky nursing bras that rode up under my arms. This tank feels so good and I look like I lost ten pounds! I’m ordering at least another one today before that code expires! yup — they are amazing! I’m SOOOOOO thankful I found these when I was still pregnant with Nora. Glad you love yours! Thank-you for the Glamourmom discount code! Just ordered two tanks for baby #3, due in a week and a half! I love your monthly favorites, too! Is that a Benton box Nora has? Love it! We love our Tervis Tumblers, because they have a lifetime guarantee. If you use the 20% off coupon for Bed, Bath, and Beyond, that helps. We have had to take ours back to the store, and they had a new set sent out without question (we brought our old ones). Free shipping and all!!! 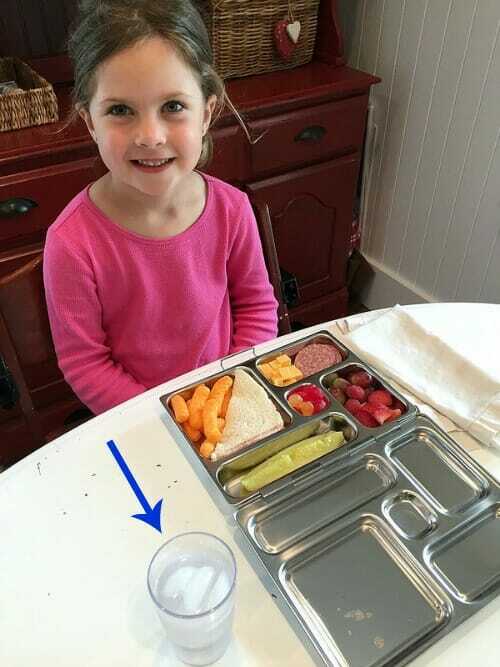 our lunch box was from PlanteBox (https://www.planetbox.com/). We love it too! ANDREA – oh my gosh! I am 10 days into the adventure of motherhood (and nursing) and I feel like the Glamourmom code is just for me. I was actually thinking about emailing you and asking about your nursing wardrobe. But then I realized, “She will just direct me to Glamourmom”. I also wanted to ask if you felt enough support with a tank top – usually the built in is not enough for me (as I sit here in my Target nursing tank top). Thank you for tmi-ing! I am so excited to give these a try (my husband is in grad school and we are on a tight budget – so I really appreciate the coupon code!) What do you do in the warmer months? Do you just wear a t-shirt over your tank top? I feel like if it was winter I would wear a lot of tank top/cardigan combos. I do not have a lot of shirts that button in the front. I am feeling a bit overwhelmed with trying to wear a t-shirt (and not just take it off) and be modest and nurse (and have family/friends come visit) – I am sure I will get into a routine soon. Thanks for making my day! oh wow — congrats Alissa! The first few weeks and months are usually pretty rough with a new baby, so definitley don’t worry if you feel like you aren’t getting the hang of it for a while. Thank you so much for reaching out to Glamourmom! I have searched “nursing tank” on your blog multiple times but just never did make a purchase. When I saw the image at the top of the post I made up my mind to just buy one already, so it’s great to have a discount code! yay — hope you finally make the purchase!! I smiled when I read your comment about missing your loofah on vacation. I am thinking for a quarter apiece, you could pack a new one and throw it away when you leave your vacation site. A small investment in the big scheme of things! And you should be happy on vacation!! haha — I know! I’ve often thought about taking them with me and tossing them, but it feels so wasteful to me 🙂 Also, there usually isn’t any place to hang FIVE loofahs in a hotel/condo bathroom — which means they end up sitting on the floor of the shower or bathtub (which totally grosses me out) and I’m not about to start taking 5 suction hooks and 5 loofahs on vacation. I’m just too minimalistic of a traveler for that! this is such a good idea Cindy! Thanks so much for sharing! I look forward to your Favorite Things posts. I’ve purchased several items because of these and I’ve not regretted buying them yet. My most recent purchase is the pizza cutter and we can’t wait to use it. 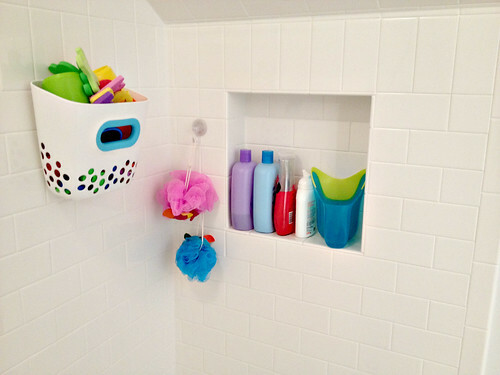 I also use scrunchie body puffs in the shower and converted my husband after we got married. I do love how it suds up the body wash so well that we end up using less of it. Just in the last year we’ve switched from the puffs to the bath & shower cloths. I love it even more because you can reach your back with ease, scrub ears and they dry faster. We bring scrunchie puffs with us when we travel so we have a dry one tucked in our travel bags. I put them in a big zip lock bag and after our last use at our travel destination I squeeze all the water out with our towels and put it back in the zip lock bag. Once we arrive home I quickly hang them to dry out, then put it away again. ooooh, I hope you love the pizza cutter when it finally arrives! Andrea, I look forward to your posts everyday. This blog is the most practical, relatable, and useful blog I read!! Thank you! I LOVE Glamourmom nursing tanks tops!! I’ve always bought them used before, but since i wore them so much I would like to buy a couple new ones this time around. Thank you for the awesome discount code!! yes, it’s a really good deal considering the discount is off the outlet store (which is the already-reduced prices)! What do you spray on you box elder bugs? These have only started to become an issue over the last few years but they hang out right by our front door. I’ve read dish soap and water but am curious what you have successs with. Does it kill them or just make the area less attractive to them? They just about coat our white vinyl siding sometimes and their waste products (do they poop, pee, or both??) stain the siding. I would really like to get rid of them but hate to spray poisons around. Absolutely LOVE these plastic drinking glasses! We have had the blue ones for YEARS and they hold up amazingly well. well, Dave’s mom has had them for MANY years and they still look new — so I assume ours will last a long time too!